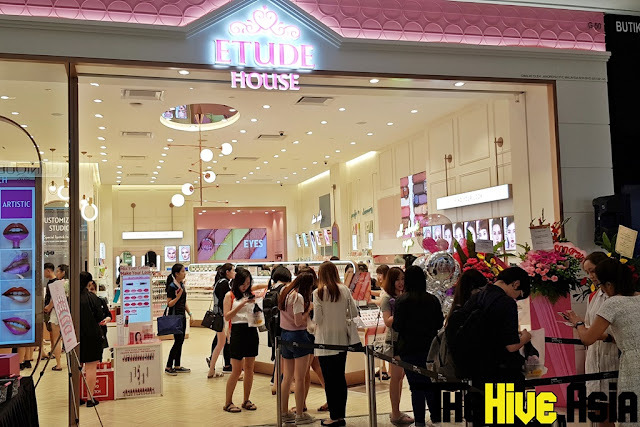 Sunway Velocity just got a little pinker as it recently welcomes the addition of a brand new Etude House. 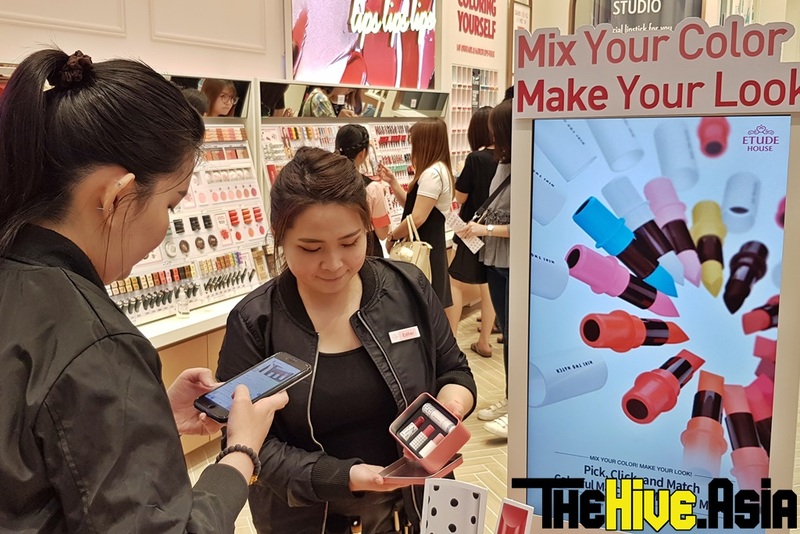 Located at the mall’s Vanity Atrium, the new store shares a resemblance to the flagship Etude House at Sunway Pyramid, though it does come with a few upgraded touches. 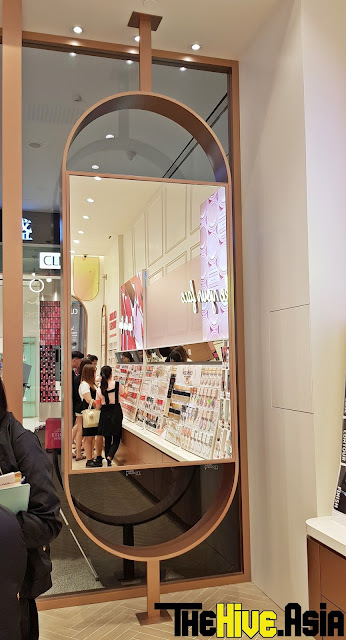 The new store features elegant yet playful lamp fixtures, a large mirror next to the entrance, a couple of smaller mirrors where customers can sit at while trying out various looks and a Customizing Studio. Dubbed as the upgraded 4.0 look, it follows the same look currently used by the stores in South Korea, where the brand originated from. 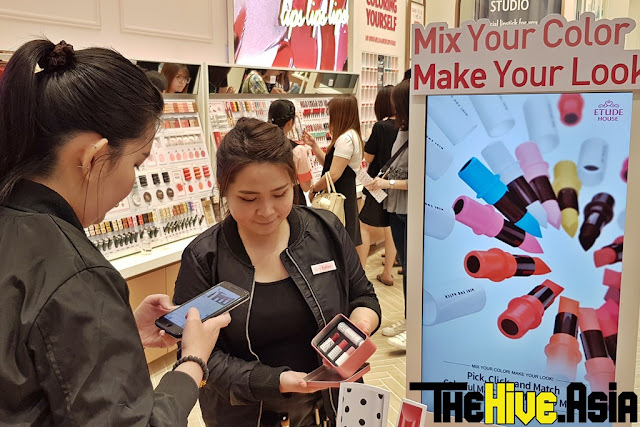 As the point of opening the new outlet is to lessen the hassle of long travel for customers who don’t live near Sunway Pyramid, all the promotions and items are the same at the two Etude House outlets. 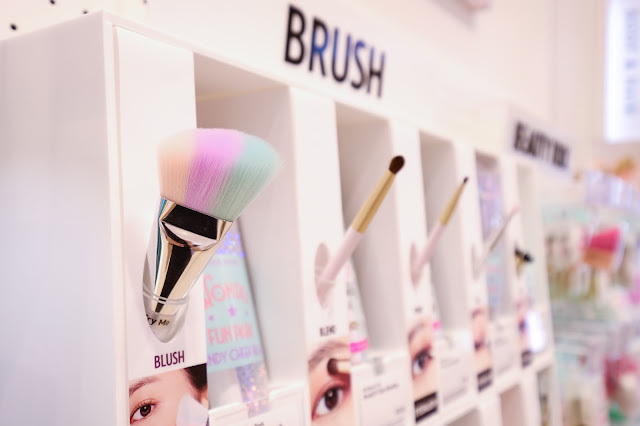 According to an Etude House rep, there are a couple more outlets planned to open in Malaysia this year. One will be located in Kuching, Sarawak, while the other is expected to open in Johor Bahru, Johor. choose the best products for the looks they aim to achieve. Plenty of colourful nail colours to choose from for the perfect mani . 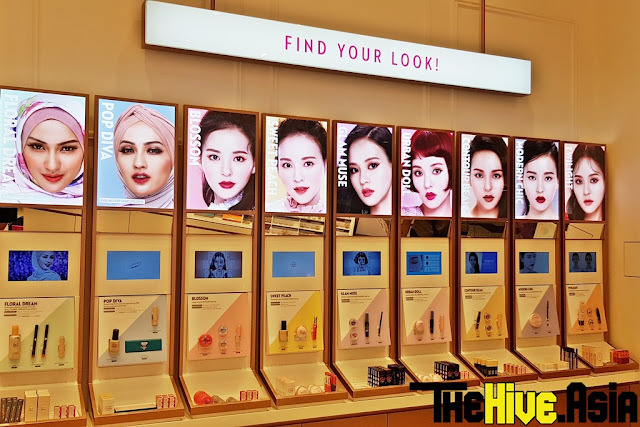 Get ideas for your makeover here – there are even two brand new looks created just for this year’s Hari Raya! Check your head-to-toe look with this huge mirror. The smaller mirrors are located next to the cashier. 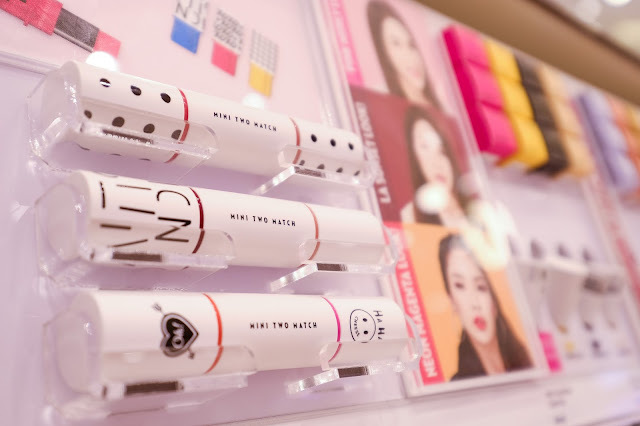 Take a rest at this bench while waiting for your customised lipstick. The new Mini Two Match lipstick range comes in various colours – even gold and unicorn shades! Unicorn brush for that perfect blush.